Students entering our Kindergarten program must be 5 years old on or before September 1 of the school year they will be attending RACS. 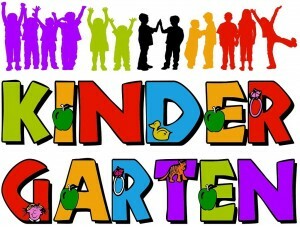 Our kindergarten program is designed to further the development of critical-thinking and problem-solving skills. The environment is designed to stimulate each child to begin to learn to think biblically and to exercise a Christian worldview. The uniqueness of each student is recognized. The child’s developmental readiness is important. Skills are taught progressively throughout the year, as the child is developmentally ready. We strive to promote love and excitement for life-long learning through our readiness program. Areas presented are pre-reading and beginning reading skills, oral language development, listening skill development, math concepts through manipulatives, an introduction to science and social studies, art, music, Bible memorization and Chapel. Emphasis is placed on exploring, observing, questioning and making new discoveries about God’s world. In our preschool, kindergarten and elementary programs, emphasis is placed on a flexible, stimulating environment that provides a warm, loving atmosphere to allow each child to develop physically, emotionally, socially, intellectually and spiritually.